Rustic 11x12.5 Paulownia Wood & Metal 2 Tier Round Tray Stand in White Paint Color. Love my tiered tray, thank you! 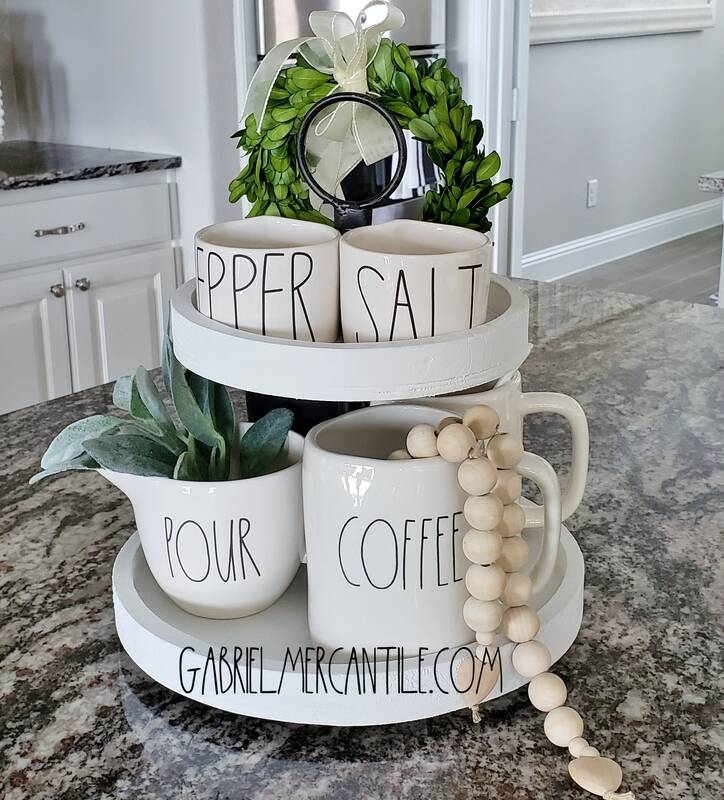 simple but cute 2 tier tray for decorative use. This tray stand is GORGEOUS!!!!! I just love it!!! it was a Christmas present for my daughter in law and she just loves it too!! The seller was SOOOOOO accommodating to my needs!! I found it late in the shopping season however she made sure I had it for Christmas with no extra cost to the shipping!! This is an A+++++++ Seller buy with confidence!!! 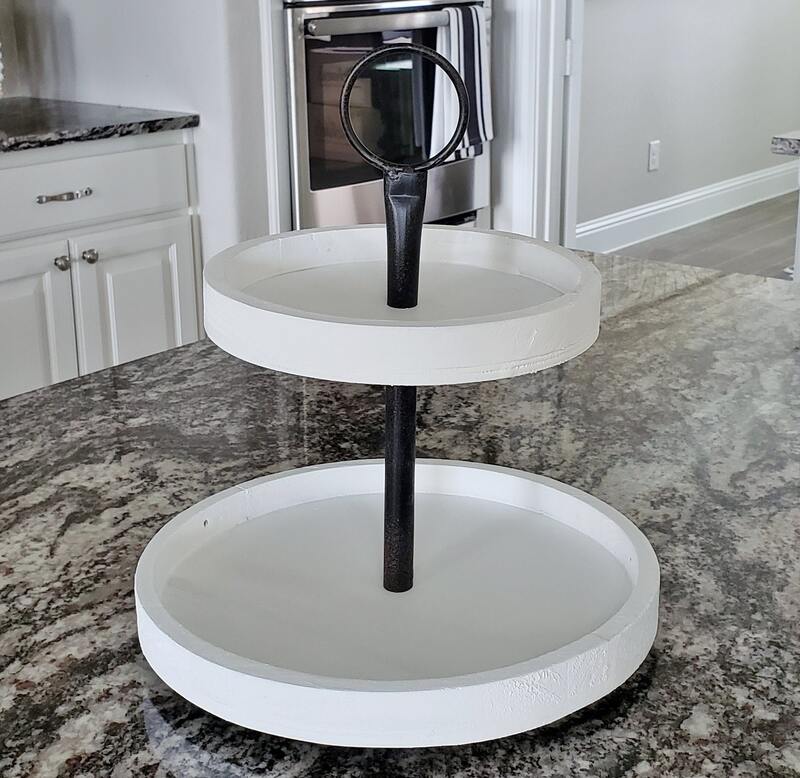 I love this tray stand so much I am now going to order one for myself as soon as I decide which color!! Thanks again for making our Christmas by helping me give the PERFECT gift!!! Purchased this as a gift for my mom. 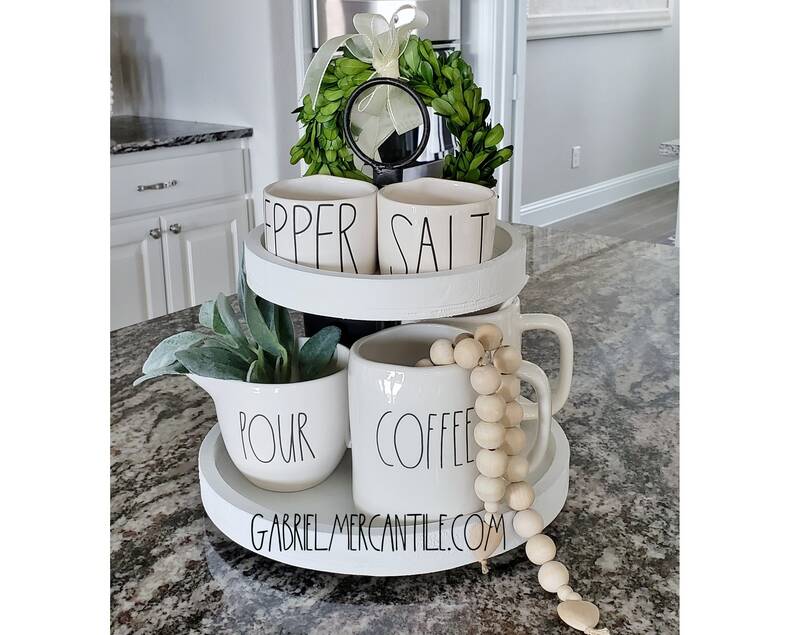 She loved it and it looks great in her kitchen. Marita was great to deal with and made sure it was received in time for Christmas. Would definitely buy from again.